Your home inspection will start with a meeting at the location. I always encourage clients to attend, as additional information can be gained through the final walk about. Plenty of time is allocated to present findings and answer all questions you may have. A complete bound report of your home inspection will be provided onsite (no waiting). The report will address all major systems and components that were visible and inspected. It will also identify areas that could NOT be inspected with a reason for the omission. 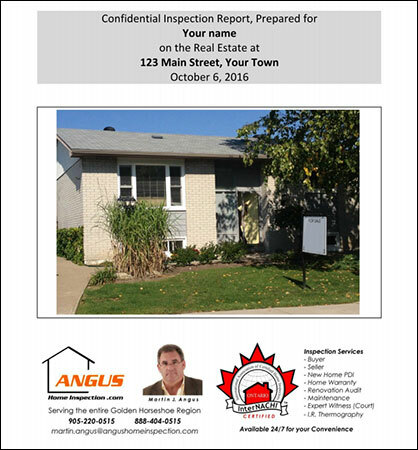 Please contact Angus Home Inspection for more information regarding our complete home inspection report.